Smoked fish is such a versatile ingredient in the kitchen. It makes flavorful soups, stews, and chowders, as well as breakfasts and main meals—its uses are endless. Even better, you will quickly realize that most smoked fish recipes are relatively quick and easy to make. Smoked fish is also healthy, if—as with most foods—you eat it in moderation. Smoked oily fish (mackerel, salmon, tuna) have omega-3 fatty acids which are good for the heart and the brain. Cullen is a small town in Northeast of Scotland and the home of one of Scotland’s most famous dishes, cullen skink. It is a hearty soup and traditionally made with Finnan haddock (smoked haddock), potatoes, and onions. Cullen skink is also known as smoked haddock chowder in other parts of Britain. Nutritious, tasty, and cheap to make, smoked mackerel fishcakes are ideal dish. Mackerel is not only an economical fish to cook and eat, but since it is an oily fish it is also very healthy. Plus, most mackerel is currently sustainable, so you don't need to feel too guilty about eating it. In this dish, the fish is teamed with hard boiled egg, horseradish cream sauce, and parsley which delivers a soft, sweet, and extremely tasty fishcake. When possible, use boneless mackerel fillets to save you the time and trouble removing all the bones. Though kedgeree is considered a traditional British food, this smoked fish dish actually originated in India. Kedgeree began its life as khichari, an Indian dish of rice and lentils, but slowly transformed into the current dish during the time of the British Raj. Looking at a Kedgeree recipe, it is easy to see the Indian influence with curry and rice, along with the British flair from the eggs and smoked fish. Kedgeree is considered a breakfast dish but can be enjoyed as a light lunch or dinner. Smoked haddock chowder is not dissimilar to a cullen skink, except flour and cream are used for thickening the soup instead of mashed potato. The soup also has added vegetables—leeks, carrots, spinach, and sweet corn—making it hearty, quite healthy, and so filling it can be a meal in itself. What's an easier or more delicious starter than a plate of Scottish or Irish smoked salmon with a creamy dill sauce? Smoked salmon with dill sauce can be served as a lighter appetizer, or for the main course with boiled new potatoes. This comforting dish creamed leeks and smoked haddock can be made in two different ways—spooned over toast or baked as a casserole, where you simply layer ingredients in a baking dish, cover with breadcrumbs and butter, and bake until bubbling and golden brown. 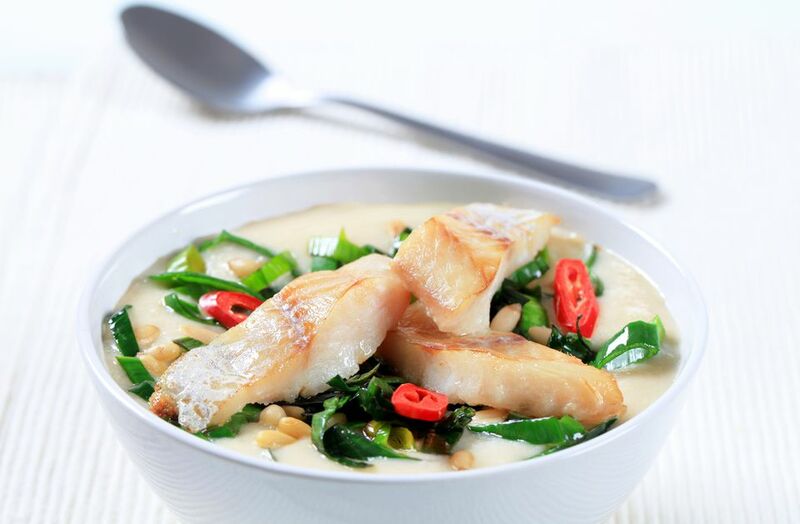 For the first version, the smoked haddock is poached in a mixture of milk, peppercorns, and bay leaf, while the leeks are sauteed and then simmered in flour and cream until slightly thickened. 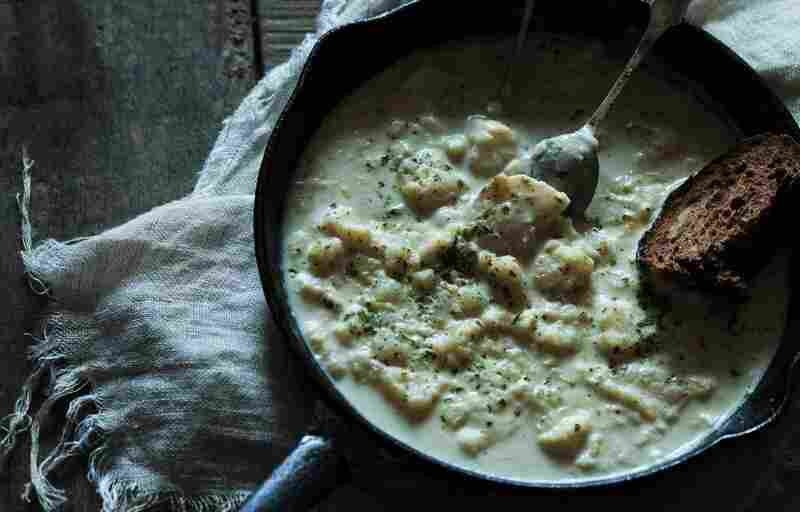 The fish is added at the end and the delicious, creaminess is served over crusty bread.